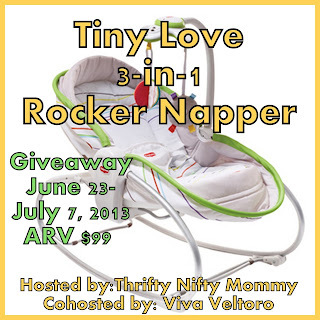 Welcome to the Tiny Love 3-in-1 Rocker Napper Giveaway! 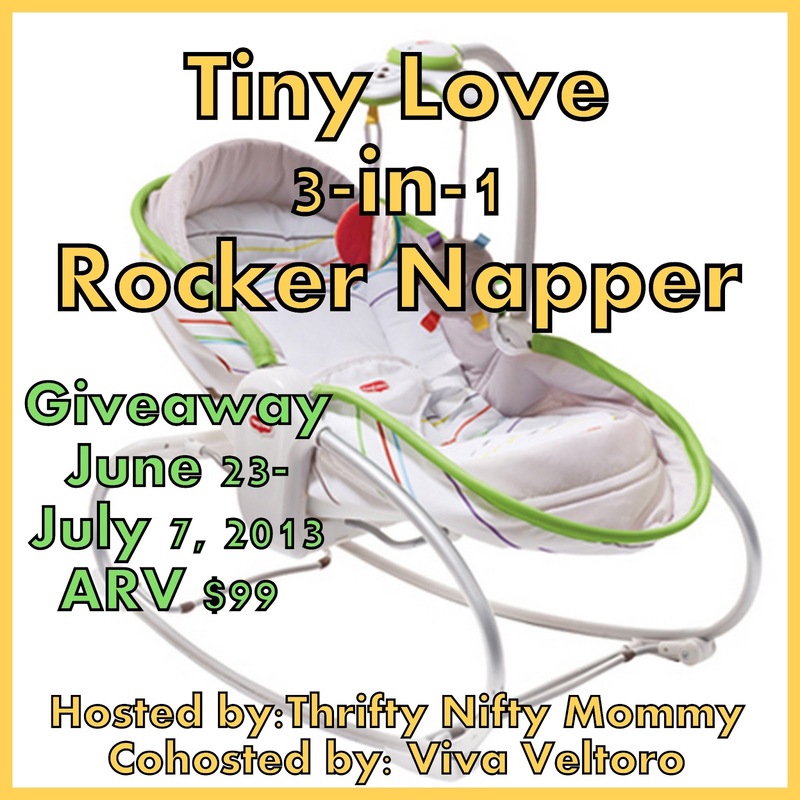 Thrifty Nifty Mommy reviewed the Tiny Love 3-in-1 Rocker when her son was a newborn. Read her review here. Then, enter to WIN a Tiny Love 3-in-1 Rocker Napper in one of the new fashions! Enter daily using the Giveaway Tools form below! Giveaway open to residents of the US only. *Disclosure: I have not be compensated to share this giveaway. Tiny Love is responsible for shipping this prize to the winner. The magical night mobile is neat! I would also like the Soothe and Groove Mobile. I'd love the Gymini® Tiny Princess™ Move & Play! I love the On the Go Mobile. Fred or the sunny stroll toys!